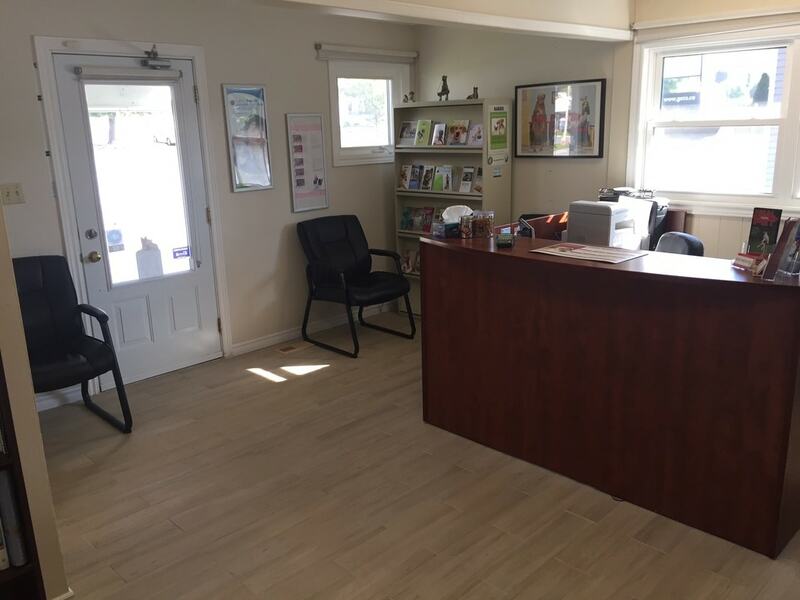 Recently renovated in 2016, our clean and bright reception area is relaxed and welcoming. Our efficient staff will help you get through the sign-in process, and direct you to the exam room. 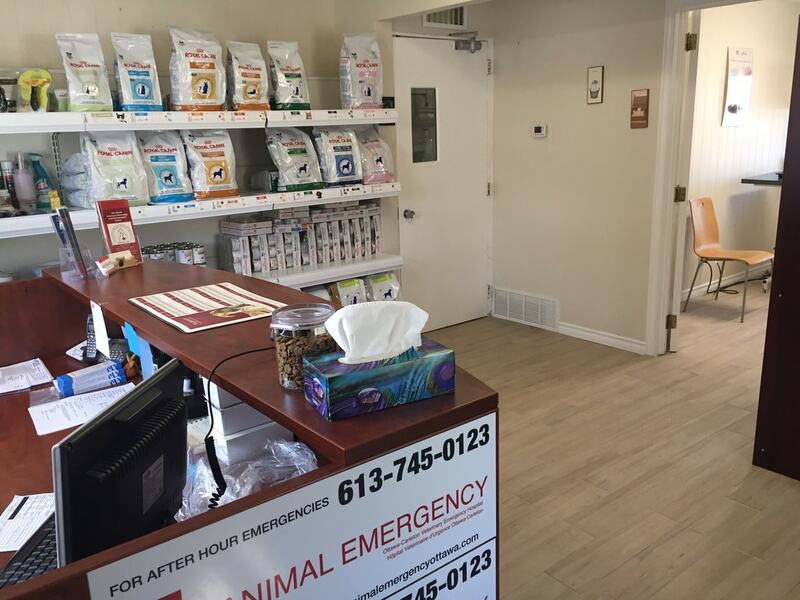 When you are received at the front desk, you are assisted by Registered Veterinary Technicians (not receptionists), to give you the best attention from the beginning. 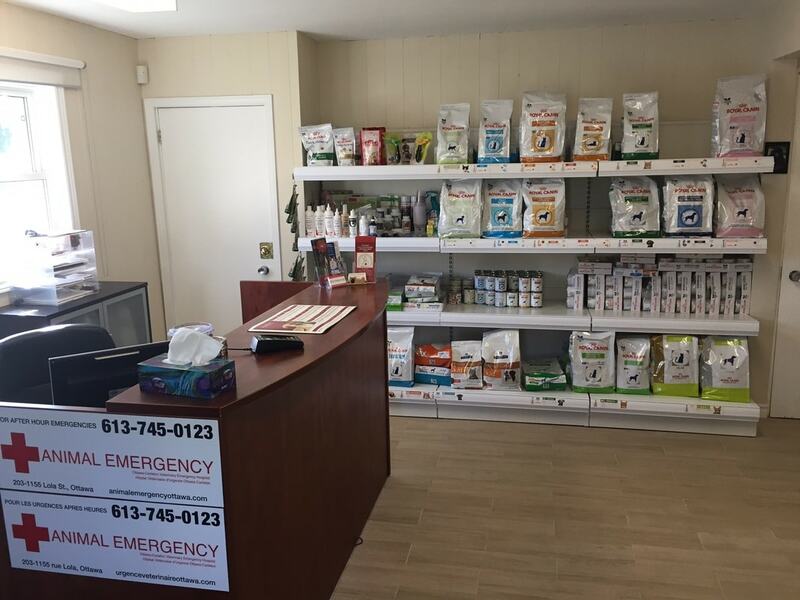 We also have the prescription food display in this area, where you can pick up any diet that Dr. B. might have prescribed for your pet's specific condition. 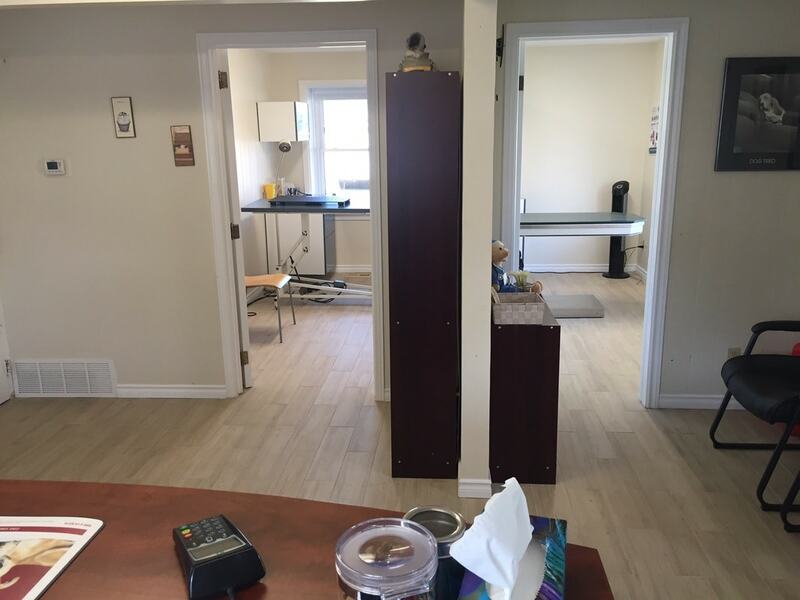 Also new from late 2016,our two exam rooms offer a clean, quiet and professional environment for your visit. 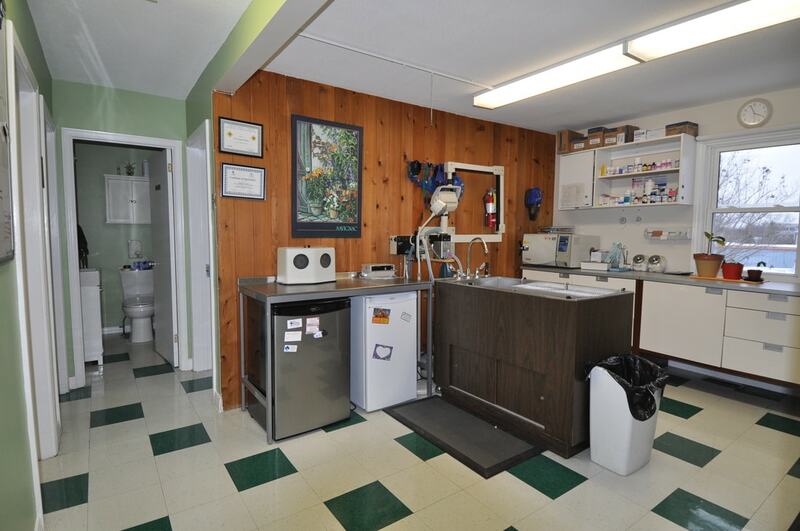 We have one exam room for dogs and another one for cats. 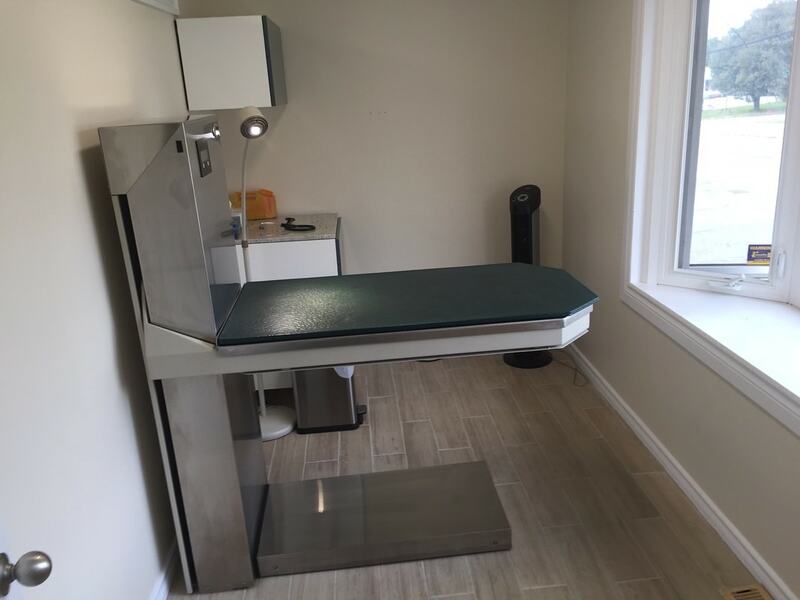 Nevertheless, there is an electric lift table in each, with integrated scale, to help you with your heavy pet, and avoid getting hurt while putting him or her on the table. The rooms have ample windows to the outside, to avoid that being-in-a-closet feeling. 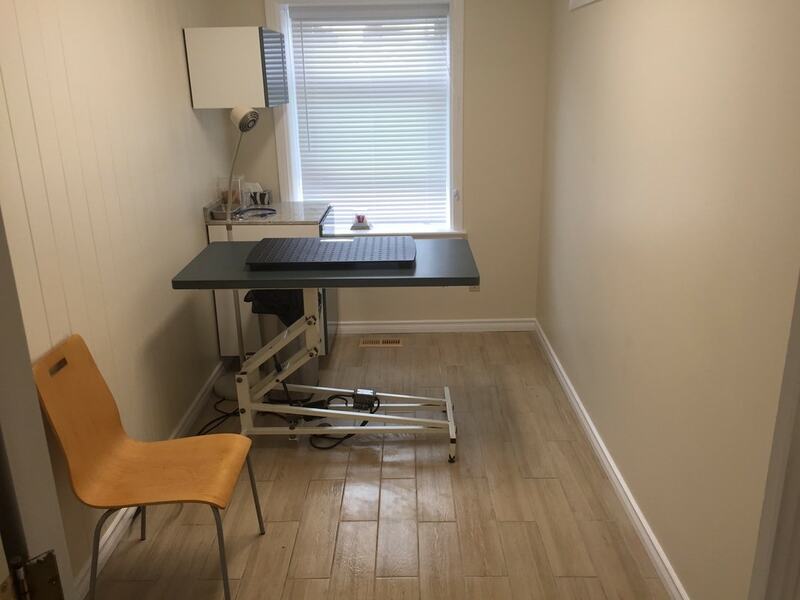 Our treatment room is where many minor procedures are carried out, including blood sampling, dental work, and dental x-rays, we also perform daily treatments of hospitalized patients. 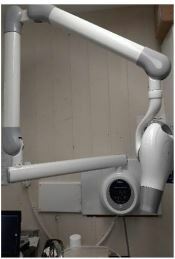 We provide modern equipment in our Digital Radiology suite to provide you with the best quality Digital X-rays. 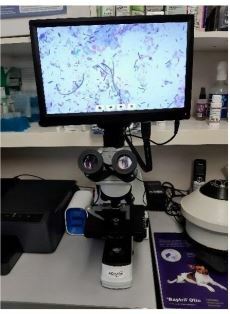 Our brand new (2016) laboratory includes equipment to run blood, urine and stool screening tests. 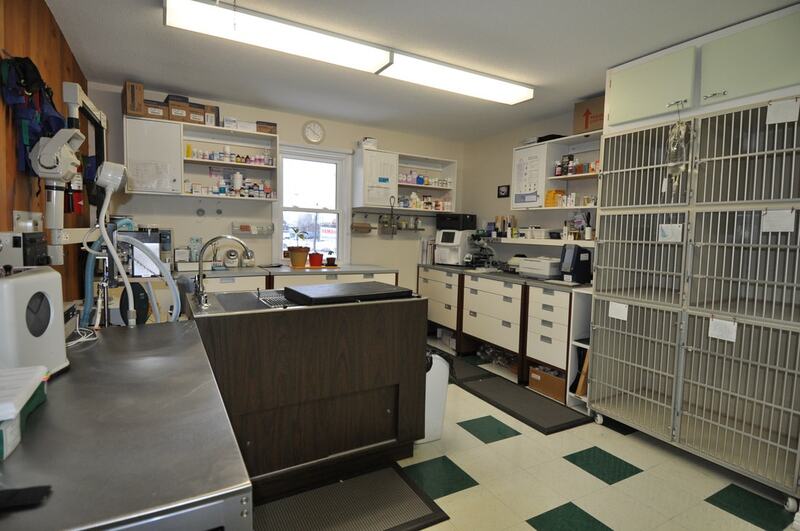 We run most of our laboratory needs in house. This saves your pet a lot of time, not having to wait for results to come back from a major lab at later date. We do use these major labs when needed. 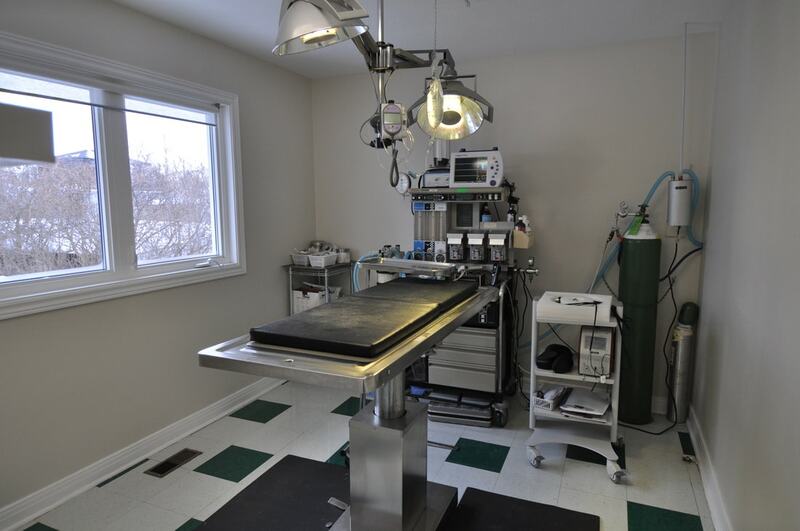 Our sterile operating room is where all of our major surgical work is performed. 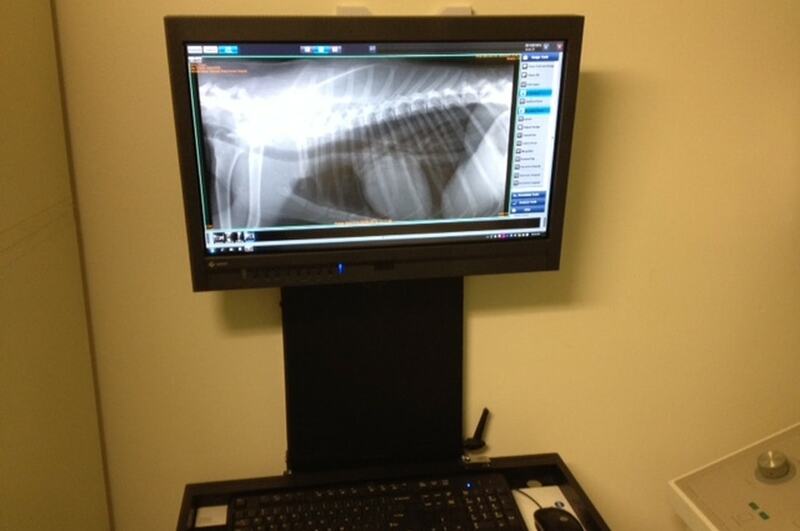 Every pet brought into this room is attached to a 7-way monitoring unit without any extra cost to you. It displays constant, uninterrupted ECG, Heart Rate, Pulse-oxymetry, Blood pressure, Core Temperature, Respiratory Rate, and CO2 levels. 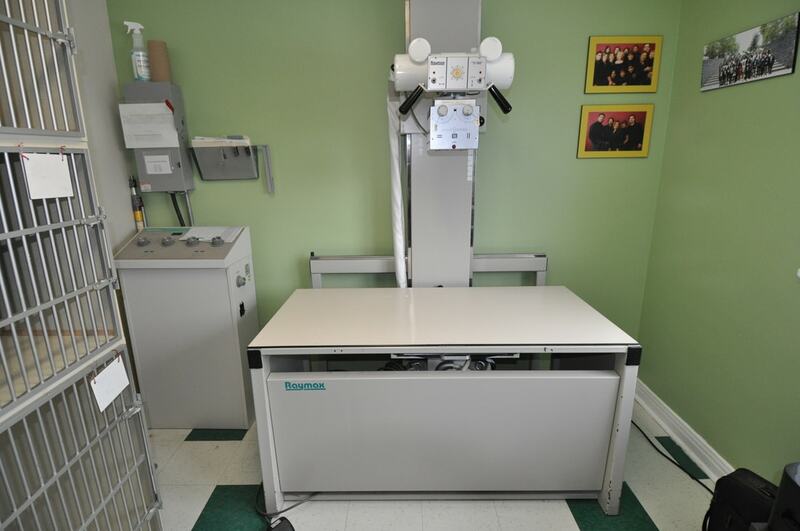 Every post-surgical patient is given a Laser Therapy session to accelerate incision healing. We are currently looking for a Groomer with entreprenurial qualities to take over the business downstairs. Any inquiries please call the Hospital at 613-842-9441. 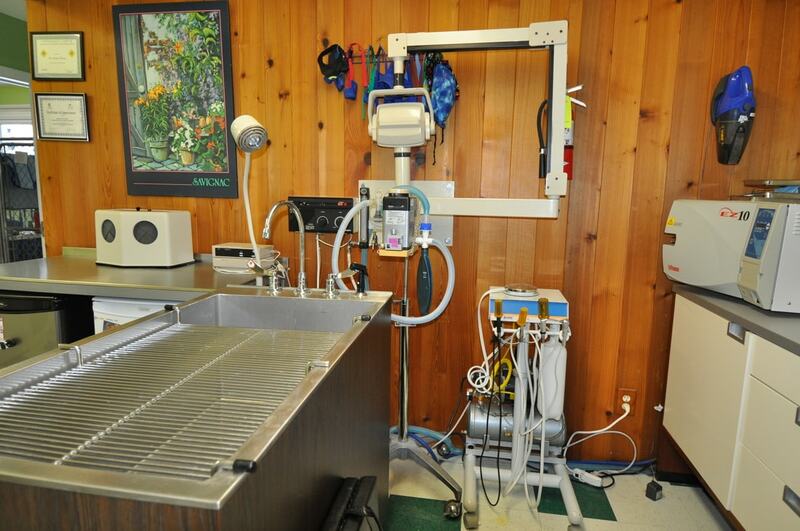 The Grooming Area is an independent business from the Hospital, it is equipped with all the toys. © 2018. 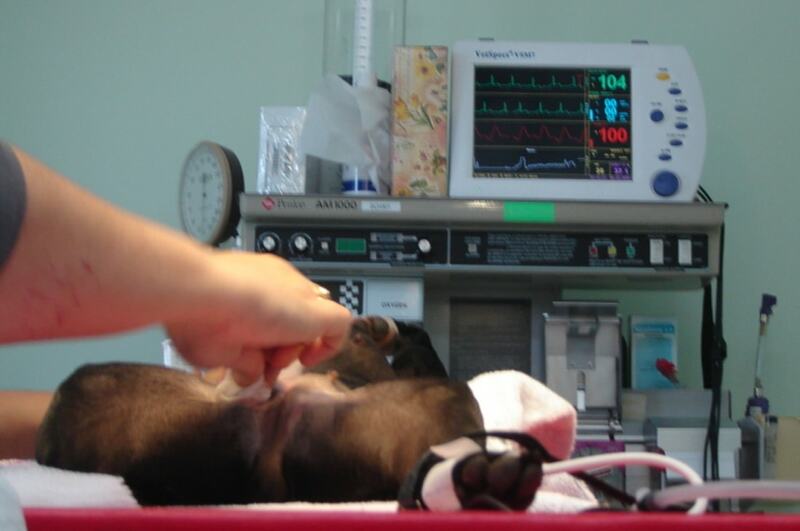 All rights reserved by Montreal Road Animal Hospital.